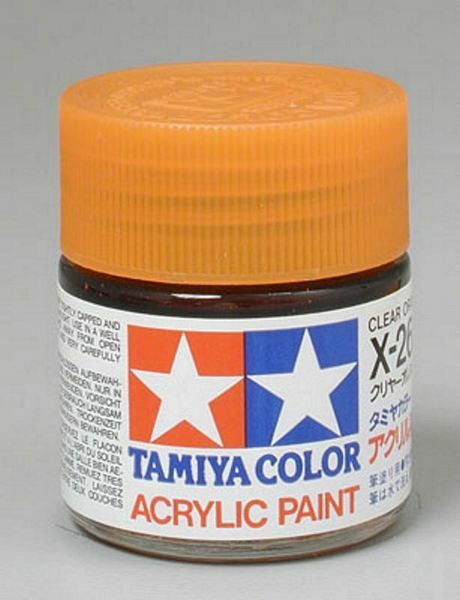 Tamiya acrylic paints are made from water-soluble acrylic resins and are excellent for either brush painting or air-brushing. These paints can be used on styrol resins, Styrofoam, wood, plus all of the common model plastics. The paint covers well, flows smoothly and can be blended easily. When airbrushing make sure to use any of the following Tamiya thinners: 81020, 81030, 81040, 81520, 87077.